Jane Woods B.Sc, C.Q.S.W, Dip App.S.S, M.B.T.I. Best Sellers: 'When Work isn't Working!' a great book if you're fed up with your job. 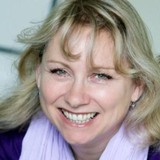 Affiliation: Jane runs her own company changingpeople ltd and is wholly independent. Jane C Woods is renowned for her energising, unstuffy and hugely successful coaching, personal development programmes and articles, published all over the world. Jane specialises in practical, tried and tested techniques which really do work! Her experience is extensive, and she has spent decades helping thousands of people achieve the life they want. You can read more about Jane on her changingpeople web site and sign up for her FREE inspirational newsletter designed to help you BE THE BEST THAT YOU CAN BE! Are You Perfect? A Mini Guide to T.A. Is Your Body telling tales On You? Eat Up Your Tinned Tomatoes! Change Your Life in 30 Minutes! Click here for information about the exciting one day renewyou course!
" We are not touched so much by life's events themselves but by the view we choose to take of them"
Whatever life throws at us, we always have some control, and that is how we choose to react to it! Visit the web site now! You can get an immediate download of my book When Work isn't Working!' NOW AVAILABLE IN US DOLLARS! If you don't like your job, but don't know what you want to do instead, this is the book for you! And the blog has masses of free info for women, drop by!